Think of a vegetable, any vegetable. Now imagine adding some healthy fat, an egg or two, and a tasty dose of spices. Healthy and tasty, right? Now add a huge dump of sugar, a crust made of refined flour, and another sprinkle of sugar on top. Oops. 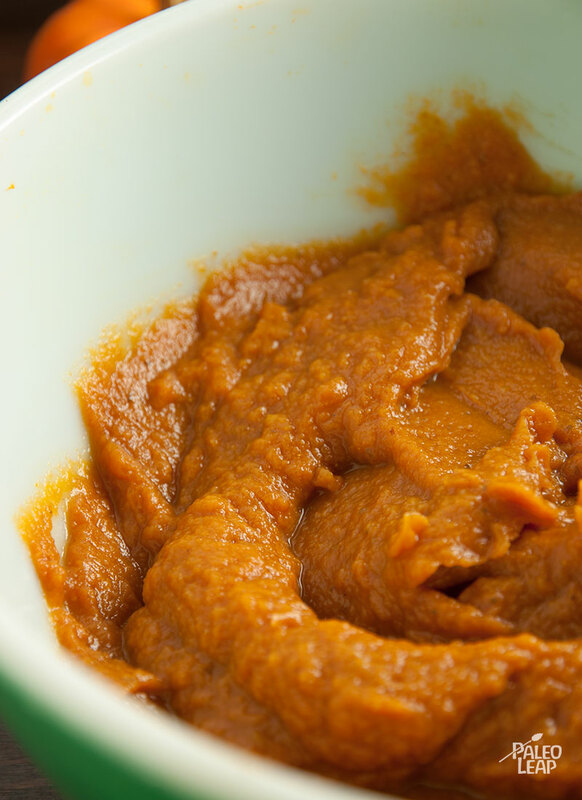 In case you didn’t get it already, that “recipe” was for pumpkin pie: the amazing transformation of a perfectly healthy vegetable into a nutritional nightmare of a dessert. But what if you could rewind a step and stop before all the sugar showed up to ruin things? That’s exactly what this recipe does. Each little bite really tastes like the inside of a pumpkin pie, and the texture is very similar (nice and creamy, just the way it ought to be). But we’ve held the sugar and skipped the crust completely, so you get a concentrated dose of nothing but the good stuff in the middle. 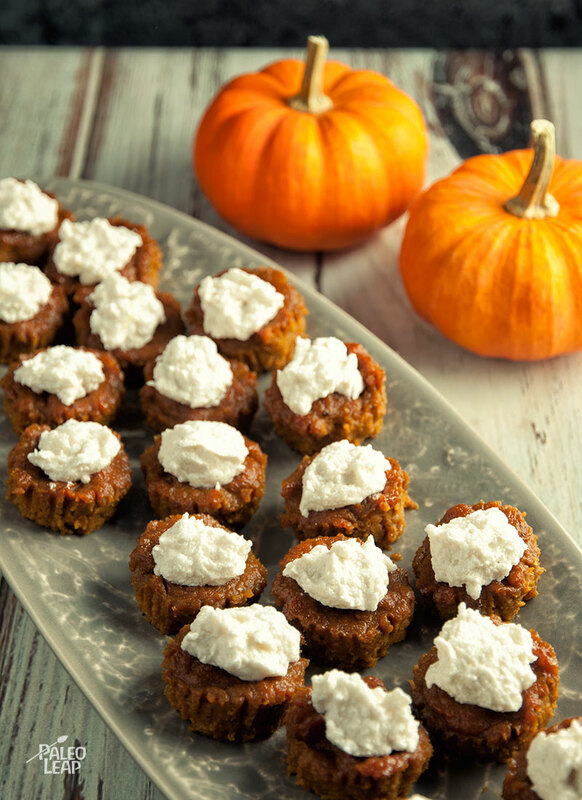 These little bites of pumpkin flavor would be a perfect dessert if you’re craving pumpkin pie. Without a crust, they’re fast and easy to make, and they’re nut-free so you can enjoy them even if nuts don’t sit well with you. The dairy-free “whipped cream” is optional, but very tasty, especially if you’re generous with the vanilla. And it does add some healthy fats from the coconut milk, so it’s really a win-win for nutrition and flavor. The bites are still tasty without it, though, so if you’ve never been a whipped cream person don’t be afraid to leave it off and eat them exactly as you like them. In a bowl, combine all the ingredients for the pumpkin bites and blend until smooth using a hand blender. Spoon the mixture into small muffin cups. In a bowl, whip the two egg whites with a hand blender until they start to look like whipped cream; then slowly add the coconut milk while blending. Keep blending until you get a whipped cream texture, and add in the vanilla. Top each bite with whipped cream and serve.